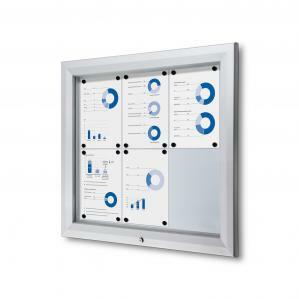 Well-built, weatherproof, durable design bulletin board for challenging outdoor conditions. These boards are perfect for any outdoor communication including parks, arenas, restaurants, hospitals and bus stations. Outside dimensions: 31.70" x 29.92"